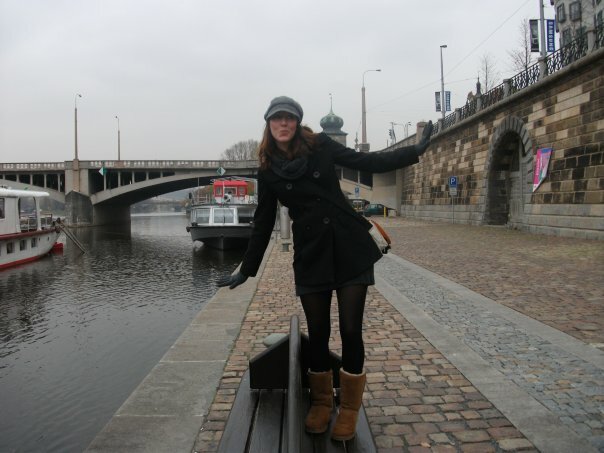 I’m Kimberly and this is me…. 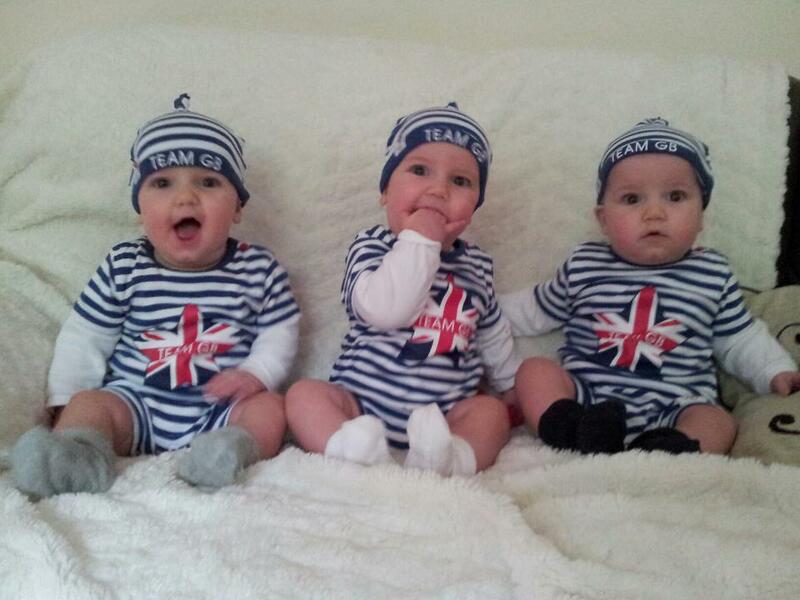 I started my blog whilst I was pregnant with my triplets back in September 2011. I’m 26 and live in Northamptonshire with my husband John and our identical triplet boys Lucas, Harry and Oscar born in December 2011. 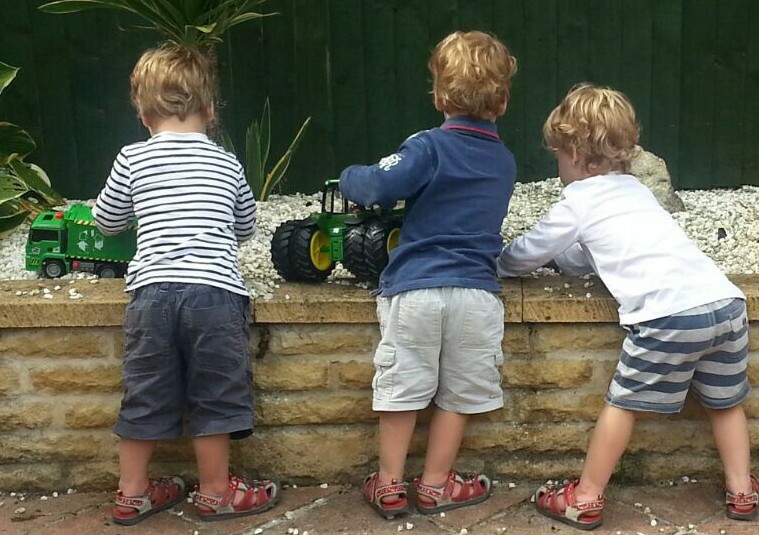 I am now a full time stay at home mum and my blog has become dedicated to writing about life with triplets as well as writing reviews for triplet products and other products that have so far served us well. I also write freelance articles and guest posts so if you would like further information please do not hesitate to contact me using the links below. I am PR friendly and always happy to conduct reviews for products providing they are relevant to my blog. 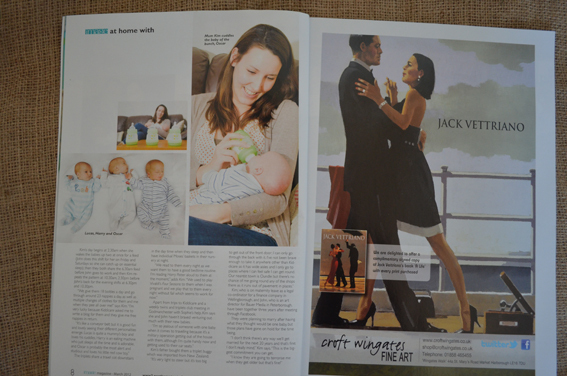 Pregnancy & Birth Magazine (Dec 2011 – p.33) – This was an article entitled ‘The Superwoman’ as part of the ‘Real life’ section in the magazine. 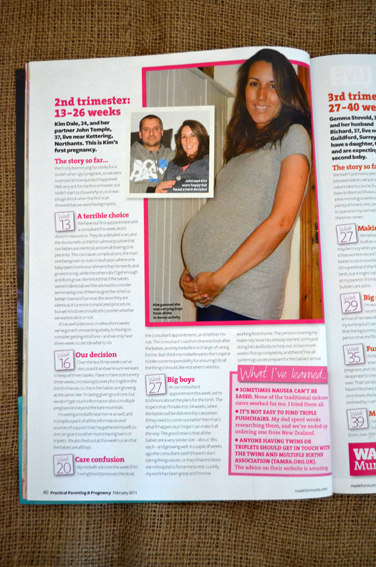 Practical Parenting & Pregnancy magazine (February 2012 P.40) – This article was part of the ‘Bump blogs’ section of the magazine and detailed my pregnancy during the 2nd trimester. Our local ET – P. 3 (the closest I will ever come to being on page 3!) 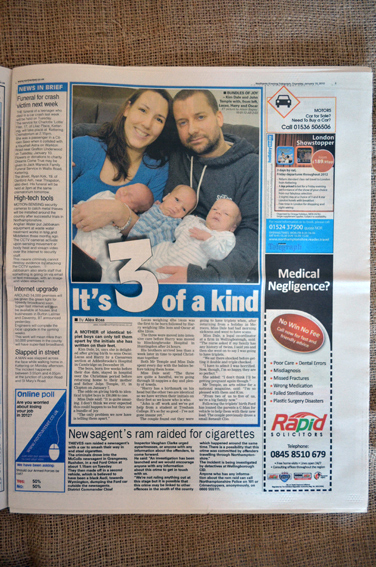 – Our local paper decided to run a short story on the birth of our boys. 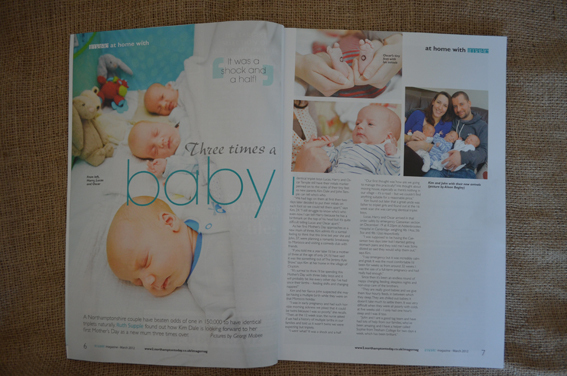 Image Magazine (P. 6-8) – Our local magazine dedicated three whole pages to life with triplets as part of their mothers day article. I loved the pictures. 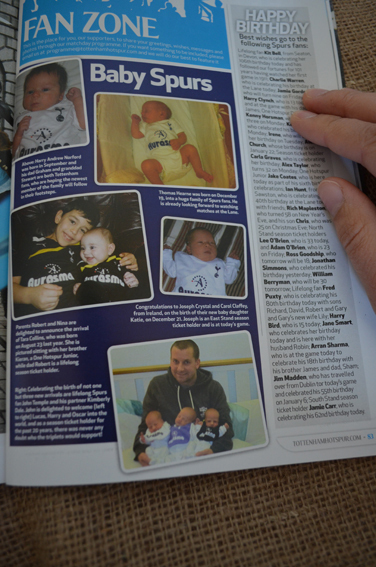 Tottenham Hotspur programme (Spurs Vs. Wigan) P. 83 – This is undoubtably one of John’s favourites!